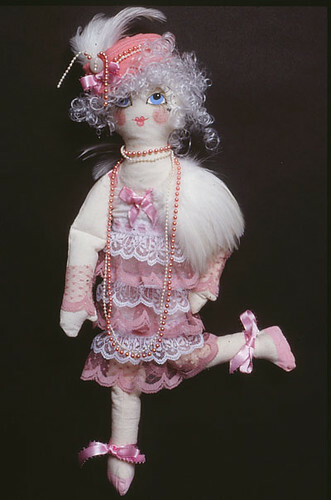 Here’s a flirty flapper in pink lace and pearls. She started out as a premade-white cotton doll body purchased in a store. I have a pattern that I’ve drafted that gives the same body, but I got very tired of making and turning and stuffing the dolls because the fun part is dressing them up! So I started to purchase “doll blanks” or dolls that had no faces, but were ready-made. The same face that I draw by hand with a penÂ on my paperdolls like Belle andÂ her more sober sisters the Heirloom Lady and Heirloom GirlÂ is one I often put on cloth dolls. Â At first I didn’t draw noses. After a while though I decided I liked them better with noses….this is one of the perks of being the designer. I also wanted to be able to reproduce the same face, and sell patterns and kits or classes with my designs, so I used the black and white drawing I did with a pen to have a rubber stamp made from an office supply store. It cost about $28 for a 3inch by 2inch mounted rubber stamp, and I thought that was a pretty good deal. This was before I knew about Ready Stamp in San Diego, where you can have rubber stamps made from your designs. 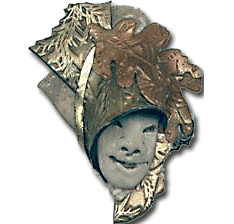 This includes a sweet deal where youÂ send in a 9″x7″ sheet of b/wÂ artwork along with $32.00 Â (plus $5.00 shipping/handling) and you get a sheet of unmounted rubber stamps along with the matrix tray (mold) in which it was formed. I used the stamps to transfer brown acrylic paint to the cloth dolls, and then I color in the features using acrylic paints. Eventually there will be a how-to article about painting and dressing them, but not today. 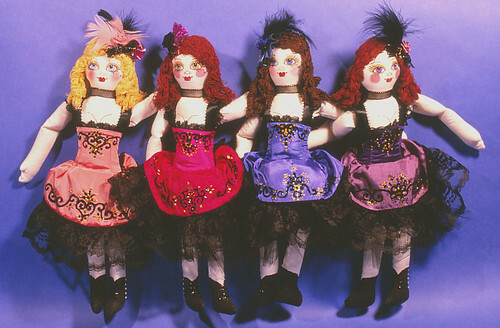 You can see moreÂ about these cloth dolls here.